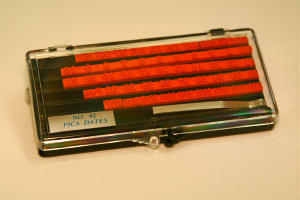 Permanent Fast Drying Non-Smear Ink designed for non-porous surfaces! 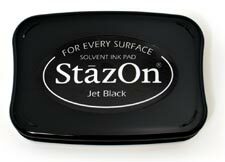 StâzOn is a solvent-based inkpad, designed for use on virtually any non-porous surfaces such as the back of photographs. It works exceptionally well on glass, metal, shrink plastic, cellophane, aluminum foil, leather and acrylic, as well as card stock and all types of paper. StâzOn is perfect for use on resin coated photo papers and aqueous coated postcards. Thanks to its mild smell, StâzOn is much safer to use than other permanent inks. It’s also much easier to use since there is no need to re-ink the pad before each use. For everything from industrial projects to garden art, and home décor, StâzOn is a classic! 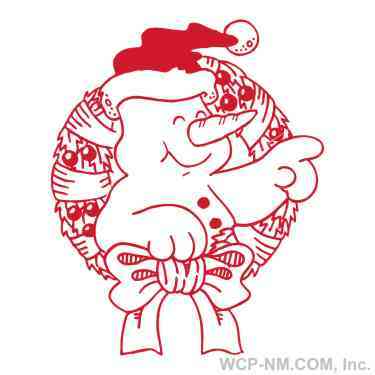 This product was added to our catalog on Sunday 07 November, 2004.